The Holiday's are upon us. Thanksgiving is weeks away, Christmas is next month and the New Year is right around the corner. You know what that means right? Time to start planning those Holiday Parties! Planning parties can be so much fun, I know for me it's something I look forward to every year but with party planning comes stress. Making sure you have everything on your to-do list and more, plus making sure you home is in tip top shape and everything is stocked. By everything I mean toilet paper and facial tissue. Have you ever ran out of toilet paper during a party? Take it from me, it's not a dream come true. Especially if it's during a Christmas party and every store is closed! Thankfully this year I was introduced to BJ's Wholesale Club, which sells bulk Kimberly Clark brands like Scott toilet paper and Kleenex, two must haves for every Holiday Party. Being Hispanic I come from a pretty big family, which is great. But when I send out invitations for my Holiday parties, I always expect so many more people to come. I meet aunts, uncles and cousins I've never met before. And since I'm always sure to have extra food and drinks now I'm sure to stock up on toilet paper and facial tissue. This was my first trip to BJ's Wholesale Club and when I say this place is heaven, I mean it. I was able to not only purchase a bulk of Scott toilet paper but Kleenex as well, which is always useful for this cold weather. Shopping for Scott and Kleenex was a breeze. For BJ's being a wholesale club I definitely didn't expect everything to be so organized and budget friendly. Don't have a BJ's membership? Fear not. Click HERE for a Free 60-Day BJ's membership offer, expires 12/31. Now, I am sure you are wondering, What in the world do you do with all that toilet paper? Usually I just put it in the cabinet or closet but this year I wanted to try something new. This DIY is so simple. 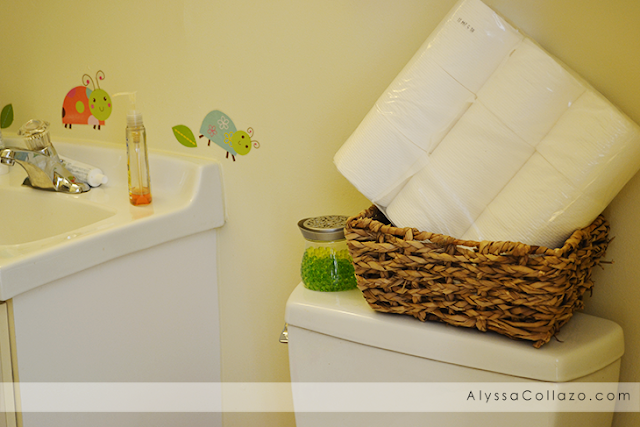 All you need is Scott tissue and a basket, I used a wicker basket. I just stacked the Scott toilet paper, it's that simple. Feel free to use a bigger or smaller basket, more or less Scott. It's really whatever works in your home. And just like that you have a cute organized set up. 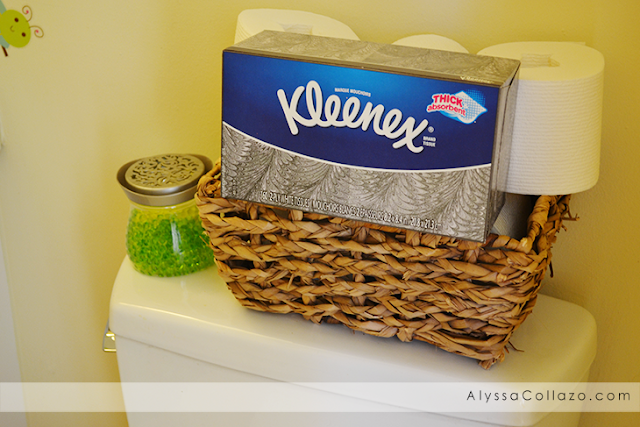 If you have a basket big enough, add a box of Kleenex! This DIY is ideal for all your Holiday parties. And the best part? It's budget friendly! Which for me, is even better. 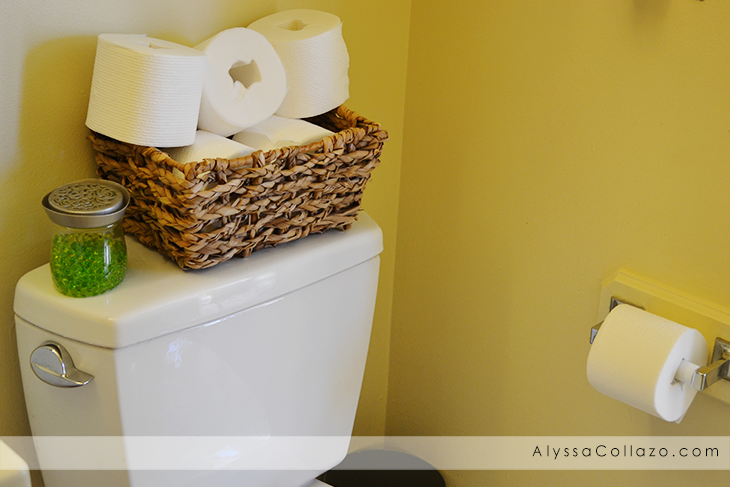 No more stressing about running low on bathroom essentials. I now have more time to plan the best Holiday parties and I owe it all to Kimberly Clark and BJ's. Which reminds me! I have an incredible Sweepstakes to share with you and I hope you all enter. Now that you know how I prepare my home for the Holiday's with Kimberly Clark at BJ's, I'd love to hear how you prepare! 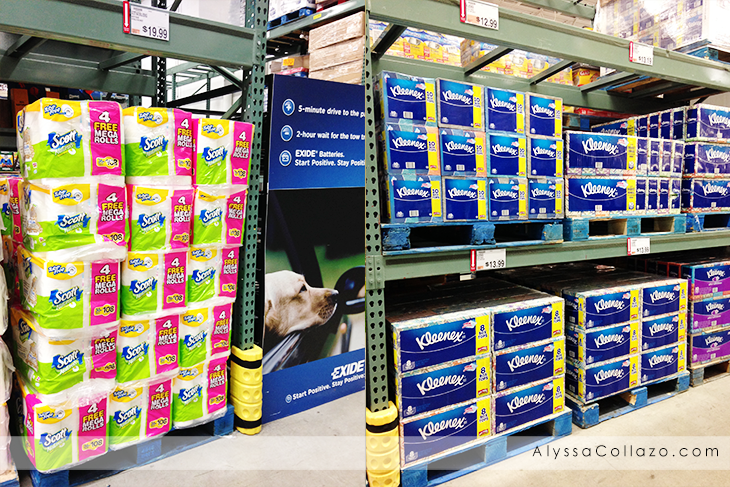 I always stock up on things like paper towels, TP and tissues at BJ's. I get more for my money there. We have a lot of family coming into town for the holidays! I really need to stock up! I never use part towels except when my family is in town. We don't have a BJ's around us, but I get stocked up at our local discount store. I wish we had a BJs! We buy toilet paper, paper towels, etc. in bulk too! There's one thing you need above all else when company comes for the holidays. That's toilet paper. You can never have too much. TP and Paper towel (especially with our PUPPY) is a must in our house everyday and especially around the holidays! I store my TP in a basket just like yours :-). I think it looks so much better, and it's out in the open where guests can see it! This is an awesome way to stay stocked up. I have a big family too and extra supplies are always welcome! Oh WOW what a NICE giveaway to say the least! I hear you - one can never have enough paper goods in the home ESPECIALLY around the holidays! We don't have a BJ"s but i like to stock up at Sam's Club! Love you bathroom decor! These are the stuff I always make sure I stock up on. I also use a wicker basket to pile the toilet papers. It doesn't matter the time of year it is we always have to have a stock pile of paper towels and toilet paper for the house. I love to stock up at Sams Club. I need to go and stock up on all my essentials. I can not believe the holidays are just around the corner again. We no longer have a BJ's here--it was shut down! Sadness over load! But I enjoy going to Costco--probably a little too much! I grew up with BJ's and was always terrified of the fork lifts! I don't have any near me in AZ but I do know that their deals and prices are awesome! Sadly, I have yet to shop at a BJ's, but I've heard it's a wonderful store. My mom is known for not having tp in her house (she buys it, she just runs out often) so for the past several years when family comes for Christmas breakfast and gifts they always bring tp and/or GIFT her tp. It's quite the ongoing joke in the family. I need loads of that. I'm getting visitors and I need to stock up on lots of things. Thanks for reminding me. I keep my toilet paper in a cute little basket in our bathrooms as well. BJ's is the first bulk membership I ever had, they were awesome when we had our first child. Toilet paper is never optional, and you def. don't want to run out when you have guests. :) I can't wait for the holidays to begin! I am a planner so I like to start getting organized for Christmas in November so I can sit back and relax during the holidays. Stocking up is a priority. Your bathroom looks really nice. I'm always worried about TP as well when the holidays hit with all the company. Great giveaway! I always stock up on these things during holiday season with the sales, coupons & stuff! I love kleenex and we use almost all of the pictured pictured! This is really cool giveaway, that could come handy, i am entering now! I have a large family too, so I always make sure to have plenty of bathroom products in the cupboard. I am a family of 5. I do need plenty of Huggies, Cottonelle, Kleenex and Scott products. My two year old is still on diapers. My kids can go through toilet paper and Kleenex fast. This is the time of sneezing, coughing, colds and bathroom time. I agree. It's always important to stock up on the essentials during the holidays, especially if you're going to have guests over! We dont have extended family or friends that come by for the holidays so I dont have to worry too much about stocking up for them. However, I do have a family of 6 and always try to keep stock of these items, especially tissue when the cold season comes along. I don't think we have a BJs nearby. Too bad! It looks like a great place to go to stock up on the essentials. What a great idea for the holidays. We don't have BJ's here :( I used to really like BJ's when I lived in upstate NY. Seriously awesome pictures! I love Kimberly Clark products and BJs! Great giveaway!